It is believed that the pineal gland, or third eye, supposedly allows people to connect the link between the physical and spiritual worlds. It’s a small endocrine gland that’s shaped like a pine cone and is located in the middle of the brain. Throughout history, the eastern world has linked the third eye to enlightenment or the “inner eye.” It is also associated with clairvoyance, visions and out of body experiences. When meditating, many practitioners close their eyes and focus on the third eye. By doing so, they are sending their attention to the highest part of themselves. The spirit that lives within that cannot be seen, touched or experienced visually. From a health perspective, the pineal gland produces melatonin, a hormone that affects our wake/sleep patterns and seasonal functions. It also controls the body’s bio-rhythms, working in harmony with the hypothalamus gland which manages the body’s sexual desire, hunger, thirst and biological clock. The above video goes into more detail and explains why the third eye has been so important throughout time. 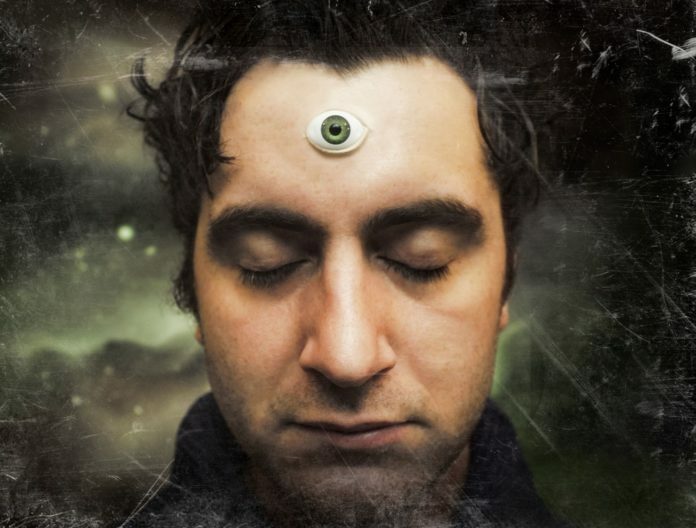 If you’d like to learn how to “open up” the third eye, this video may be of interest to you.